Ok, Soulsters, here we go! 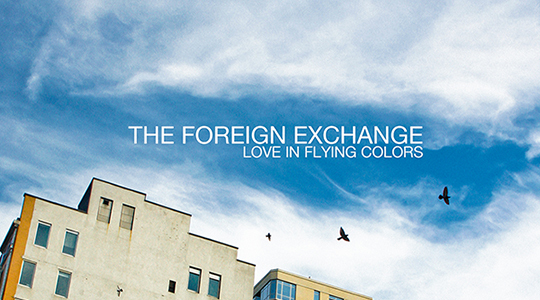 The dynamic duo Nicolay and Phonte, otherwise known as The Foreign Exchange, are back with their 5th offering, Love In Flying Colors. Let me first say, that I have been waiting anxiously for the next piece of music from them for quite a while now. If you have read anything from my past postings on this blog, you would know that I am a huge fan. I must say that after a few listens of this album, it took a little longer for me to get into it than any other FE album. As usual these guys are not playing with the tracks and vocals throughout this album. The layers they provide in each song is incredible. Instrumentation and vocal arrangements are definitely more prominent in this album than in the previous offerings. This shows the growth and their intention to move forward from their “Connected” beginnings. We now have strings, guitar and live percussion which give a lot more fullness to the music. Songs like the ballad, “Listen To The Rain” is a beautiful example of this. It totally envelopes you and takes you to a hopeful place. This song has wings and as the music soars you feel like you are being swept away. I wish it were a little longer than 3 minutes, but hey, what can you do? This song is one of the best songs on the album. Why is it so short? Phonte sounds wonderful as usual here. He has come into his own with his vocals and his style has become more nuanced. He is carrying the vocals on each song on Love In Flying Colors and he is more than capable to do so. His voice fits in every track that Nicolay lays down for him which is why these two mesh together so well. The Foreign Exchange would be nothing without its supporting cast of vocalists that round out the sound for each album. Vocalists like Carmen Rodgers, Sy Smith, Gwen Bunn, and Jeanne Jolly bring the songs to life. This formula is as old as time, however, it definitely works. The women give the songs a wonderful feminine balance against Nicolay’s bass heavy tracks and complements Phonte’s vocals. I have to tell you my absolute favorite track on this album is the House inspired, “Can’t Turn Around” featuring Gwen Bunn. OH MY GOD!! I swear I got chills throughout my body when I first heard this song. I couldn’t stop moving and I couldn’t get rid of the ugly face while grooving to it. I actually shouted when it ended. Nicolay put his FOOT in this track from beginning to end and in between. Like I mentioned before, the layers of instrumentation and vocals are certainly present in this track. “The Moment” is a fun track as well that reminded me of the early 90’s dance hit, “Finally” by CeCe Peniston. This track is very reminiscent of that dance sound, but updated. I absolutely love the first single, “Call it Home”. This is another song that takes me somewhere else. The Foreign Exchange is really good at doing that to me…and I love it! With all of that being said, this album is a must have for the fans and a welcome addition to The Foreign Exchange catalog thus far. The main complaint that I do have about Love In Flying Colors is that it only has 10 songs. 10 short songs. I really wish this album could have had more songs on it. FE has been promoting this album for months and I really expected more of a song selection. In that way, this album really came up short for me. Call me selfish, but I just wanted to hear more from my favorite group. This topic is very near and dear to my heart. It’s one of the reasons I started this blog. What is happening over at my absolute favorite Atlanta radio station (until recently), 91.9 WCLK-FM is really sad and disheartening to REAL MUSIC lovers all over the world. The artists also lose yet another platform to display their music. 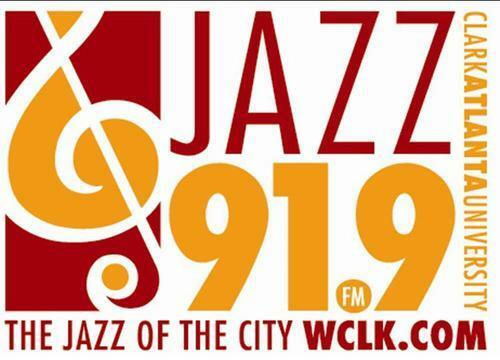 91.9 WCLK -FM is a member supported, public radio station that broadcasts from the campus of Clark Atlanta University. It relies heavily on membership donations and holds quarterly membership drives of its listeners. The original format of the station focused on classic and contemporary Jazz along with Soul music. The powers that be have decided to change the programming to a Smooth Jazz format. What you say? Yes, you read correctly…Smooth Jazz (sigh…). They claim that this is the best option to keep the station afloat monetarily and bring in more listeners. Shows like The S.O.U.L. of Jazz with the incredibly music savvy and popular DJ Jamal Ahmad, will now have elevator music played heavily during its time slot. Mr. Ahmad will no longer have a say in what is played during his show (at least on the weekdays,) as he had prior to the change. I must ask the question…What kind of mess is that!?! Half of what I listen to and the artists that I have been exposed to are from his show! Jamal Ahmad is a master at discovering new artists and their music from all over the world and sharing them with his audiences. This show along with Morris Baxter’s Morning Jazz show made WCLK unique and progressive in today’s cluttered radio spectrum. It was a breath of fresh air for the true music heads! Now, we will be pummeled with smooth jazz and background music that is no longer relevant! This format didn’t work for ‘CLK back in 2007..what makes them think that this will bring more listeners today? Along with many loyal listeners, I’m so pissed!! How can they disregard what the listeners want, many who support this station, such as myself? Couldn’t there have been a better way to gain more listeners than changing the format like they have?